On Thursday 12th July 2018 from 2-4pm, The Moy Valley Over 55 Club will host a Tea Dance as they do each year in conjunction with the Ballina Salmon Festival. The Tea Dance will take place in the beautiful Kennedy Glasgow Centre overlooking the River Moy on the Quay road, (opposite Crockets On the Quay Bar and Restaurant). There will be live music with Padraig and Jason Moran on the day, and light refreshments will be served. Join in for a fun day of music and dancing – everyone is welcome! The Moy Valley Over 55 Club has been in operation since April 2008, and is open to the general public Monday–Friday. All are welcome to pop in! 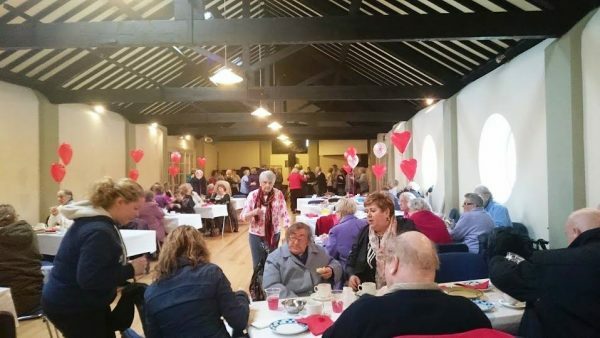 Located adjacent to St. Muredach’s Cathedral in Ballina, Co. Mayo, the club provides a unique service in a cosy, intimate setting where people can drop in at any time during the day, to have a chat and a cup of tea.